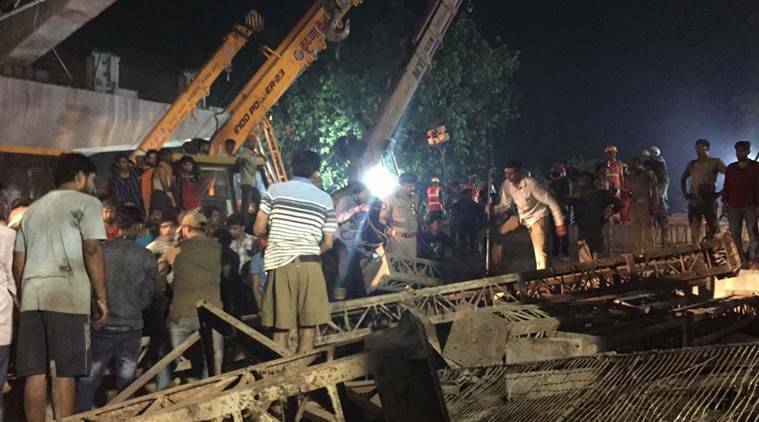 The state government on Thursday removed Uttar Pradesh Bridge Corporation managing director Rajan Mittal in connection with the collapse of a portion of an under-construction flyover in Varanasi that killed 15 people on Tuesday. The removal came as an inquiry panel constituted to probe the collapse recommended “strict punitive action” against him and other officials. The panel found the “competent (public works)” department had not approved the flyover’s drawings. The agriculture production commissioner R P Singh-led panel, which submitted a report to the government on Thursday, found the flyover’s beams constructed in between the columns were not tied with “cross beams”. The panel said the corporation had not created an alternative route for the construction. There was no barricading and inspection officers made no remarks after inspecting the site. It found no record was maintained regarding the “batch mix plant”. It was unclear what amount of cement, sand or grit was used for the construction. Even the checklist of concrete was not kept. The panel has recommended “appropriate strict punitive action” also against officials including chief project manager S C Tiwari, former project manager Gend Lal, project manager K R Sudan and assistant project manager Rajendra Singh. It has recommended detailed guidelines for construction agencies about third-party inspections for quality check. “J K Srivastava has been made the new managing director of the Uttar Pradesh Bridge Corporation. Orders have been given to relieve Rajan Mittal from the post…,’’ deputy chief minister Keshav Prasad Maurya tweeted. 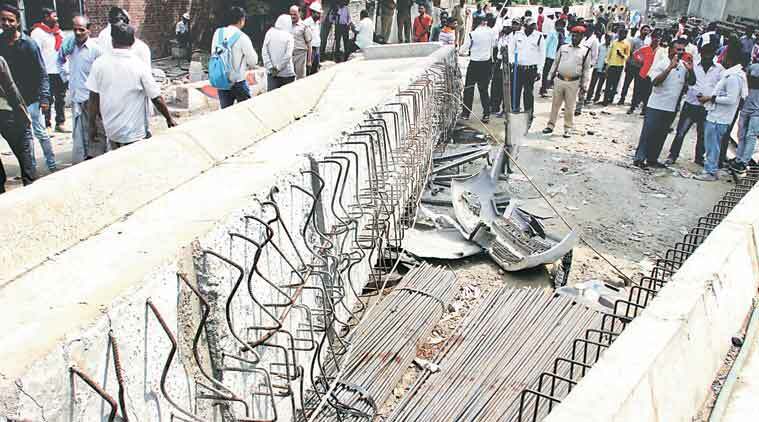 The Uttar Pradesh police had on Wednesday claimed to have written five letters to the corporation since November asking it to manage traffic around the flyover construction site. The police claimed to have raised the issue of corporation’s “chaotic construction work”. The mismanagement of traffic has been blamed for causing the deaths.